If you are going to be working in a wood shop, you know how saw dust can get all over your shirt and pants. You need a full coverage apron and the Bucket Boss Super Shop Apron is exactly what you need. Made of 18 oz. 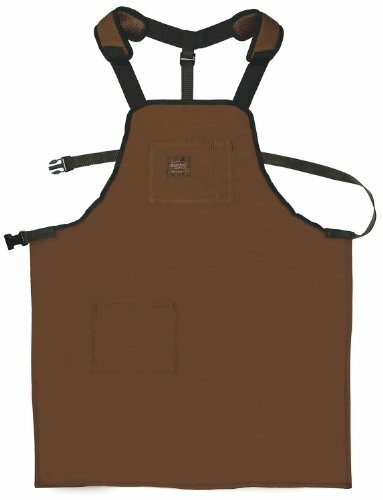 Duck wear Canvas this is a full coverage apron to protect you from saw dust and flying debris. There are padded shoulder straps and there is one large waist pocket and one bib pocket. The adjustable belt fits waists up to 52" and has a quick release buckle. If you have any questions about this product by Bucket Boss, contact us by completing and submitting the form below. If you are looking for a specif part number, please include it with your message.